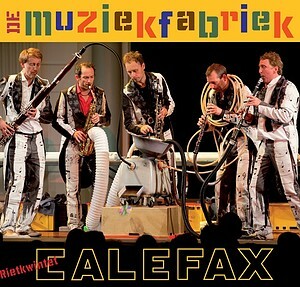 The Music Factory | Calefax Reed Quintet | Dispeker Artists, Inc. The five Calefax men work in a factory where they do the same job every day. One day, something goes wrong and panic breaks out. However, they start to discover that their building-materials can have different uses and they start making fantastic instruments out of them. Now they just need a way to capture the music so it won’t be lost!